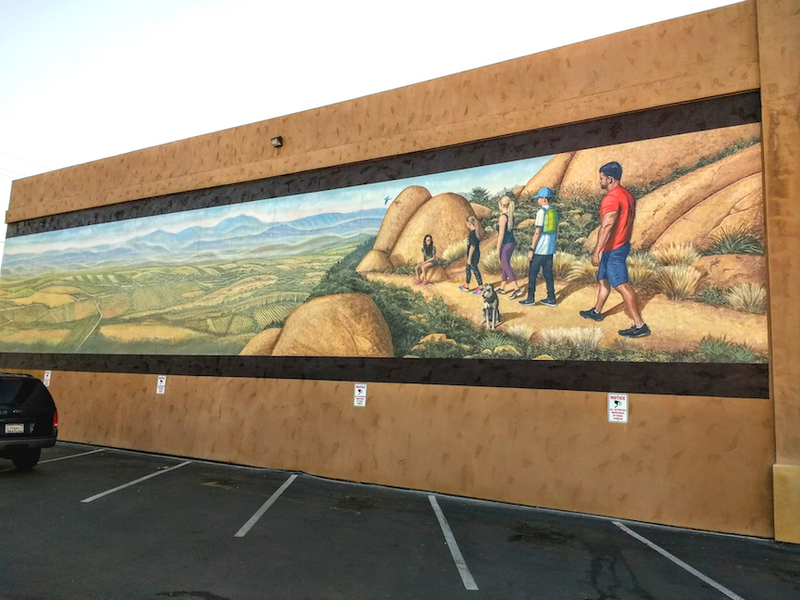 This mural, painted for the City of Ramona, is of five hikers on top of the Mt. Woodson with the famous “Potato Chip Rock” on top. It is located at the Ramona Fitness Center at 558 Main Street, Ramona, CA 92065. The owner of the center wanted to have his family painted into the mural and so I obliged. The mural montage that took me almost two months to complete has been installed. 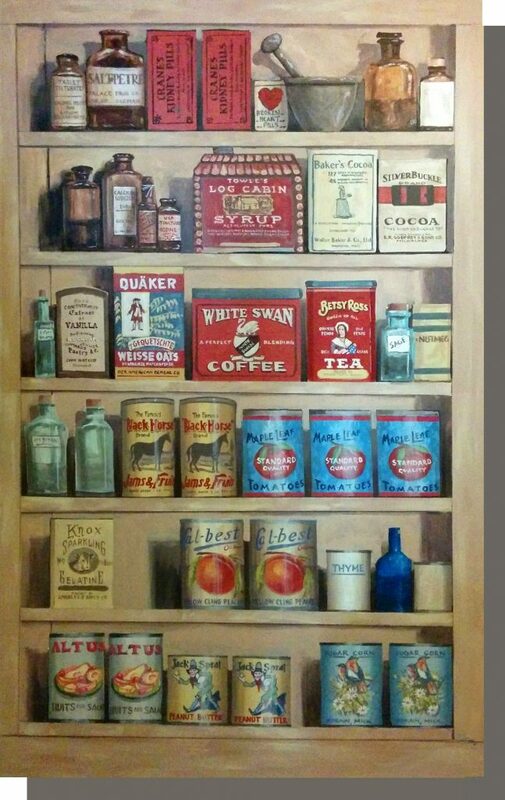 It was a labor of love when tons of details hand painted into each piece…11 pieces total.The 11-panel mural montage titled Verlaque Pioneer Store stands on the east wall of businessman Peter Bidegain’s Reds, Whites and Brews at 629 Main St. in Ramona, California. Designed by muralist Rik Erickson of Murals Fantastic, the mural is dedicated to Ramona’s first business, built in 1883 and operated by Amos Verlaque and later by his brother Jeff. Verlaque Pioneer Store was a stage stop, general store, and post office as well as a place for residents to hang out, chat, buy goods, and receive mail. 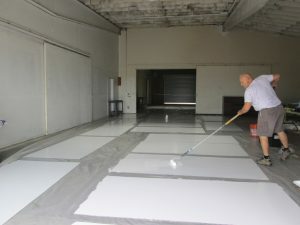 I researched the history of the store before designing the mural, which is the 12thsponsored by the Ramona H.E.A.R.T. 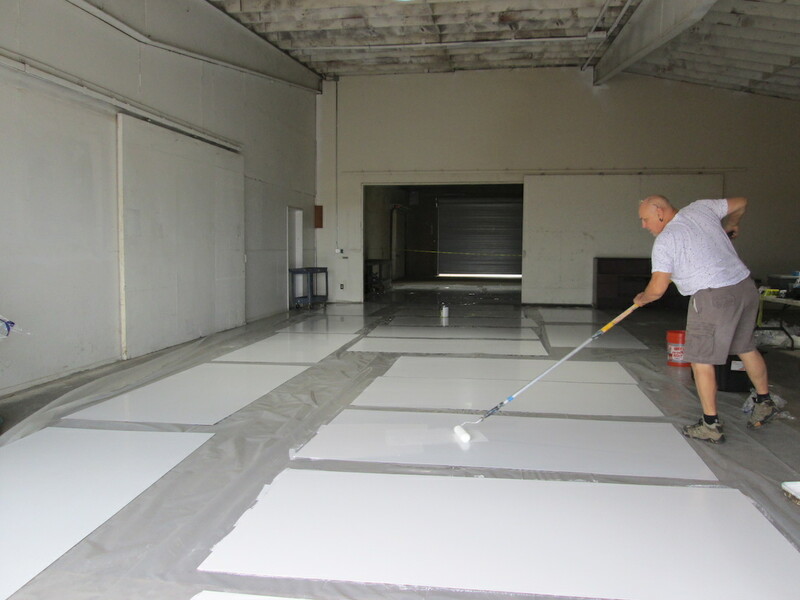 Mural Project, a 501 (c)(3) nonprofit corporation. 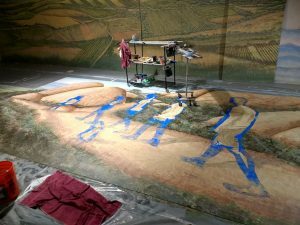 The mural features the artist’s depiction of Jeff Verlaque standing before shelves of goods, panels showing a sample of items that would have been sold in the store from the late 1800s to 1911, and Erickson’s illustration of a stagecoach in front of the store. “When the stage stopped, passengers would have time to get out to stretch their legs and maybe purchase an item from the store,” states the mural panel that provides history of the establishment. 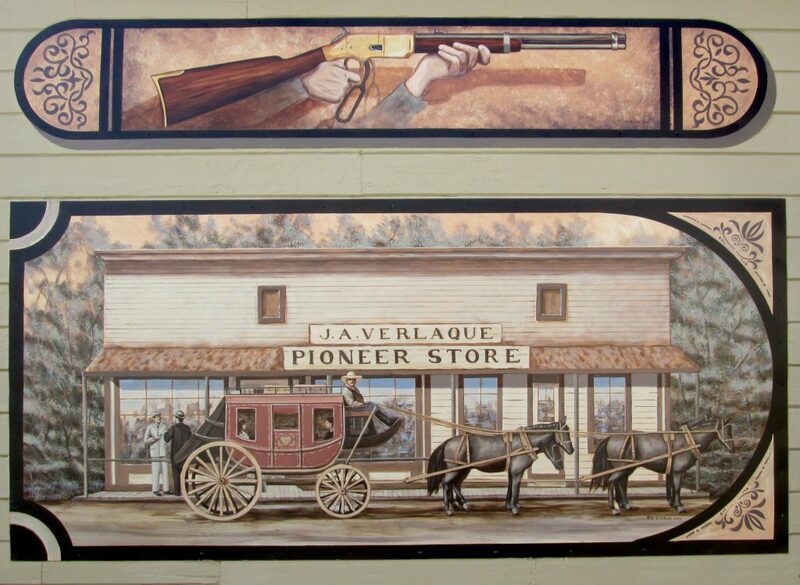 The Pioneer Store Mural in Ramona, CA. I am currently working on a montage mural project for the city of Ramona, California. 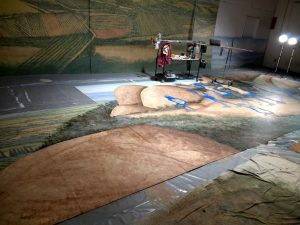 It will be a historic mural based on images from the late 1800’s that I worked up as well as two historic photos I will base part of the mural on. These should all be completed on 2-1-16. Ramona was founded around 1886 by land speculator Milton Santee. 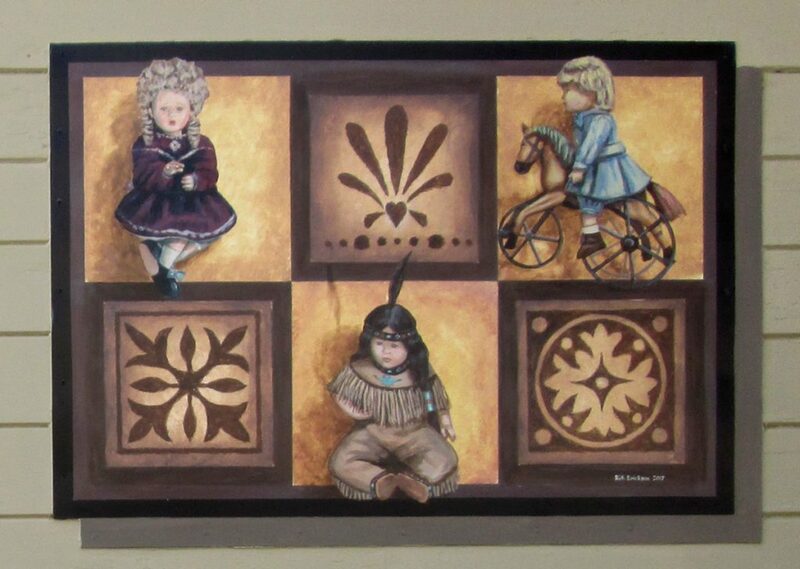 It was named after a novel by Helen Hunt Jackson about relationships between Mexicans and Indians. Santee sold 2 acres of land for $100 to Amos J. Verlaque, who built this building. It was the town’s first store and post office. I finally switched to WordPress to build my new website with the help of a local web guru genius Rob. He suggested I simpify and have less web pages which he them implimented.